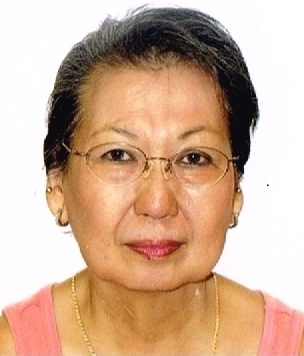 TERESITA TERRY MAMA LAURON GABOYA Age 72, of Waianae, HI, passed away August 6, 2015 in Waianae. Born March 18, 1943 in Cebu, Philippines. Worked at Kmart, Lowes, Home Improvement Warehouse, Howard Building & Co., and Cornet Stores. She is survived by daughter, Beverly L. G. (Junjie) Inocencio; 6 grandchildren. Visitation 8:30 a.m., Tuesday (Sept. 15) at Mililani Mortuary Mauka Chapel. Funeral service 10:00 a.m. Burial to follow 11:00 a.m. at Mililani Memorial Park. Aloha attire. Flowers welcome.